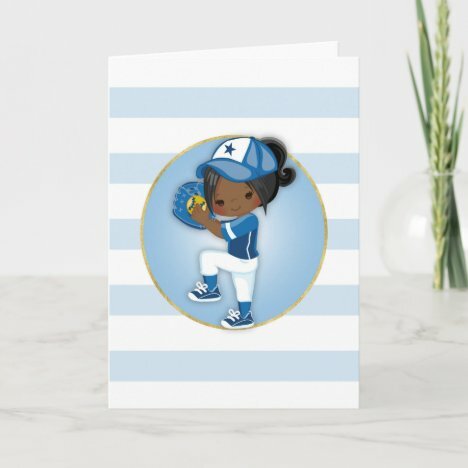 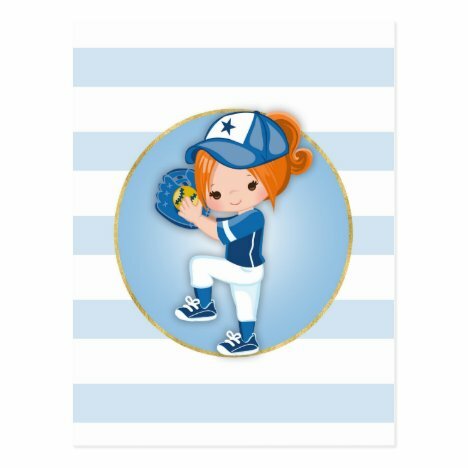 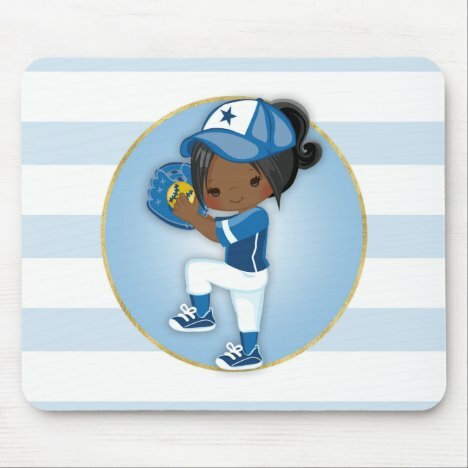 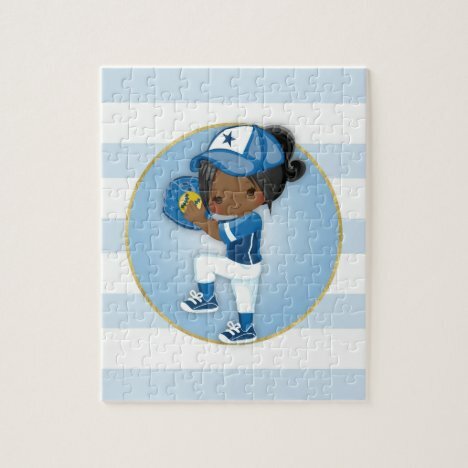 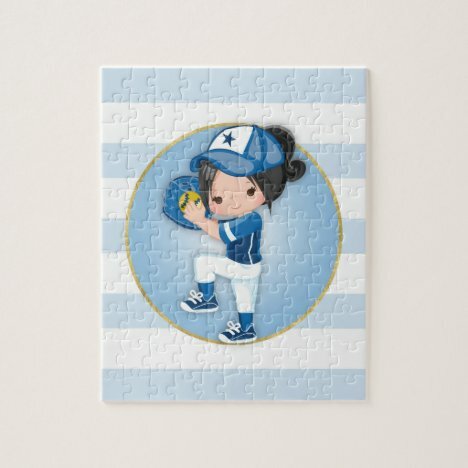 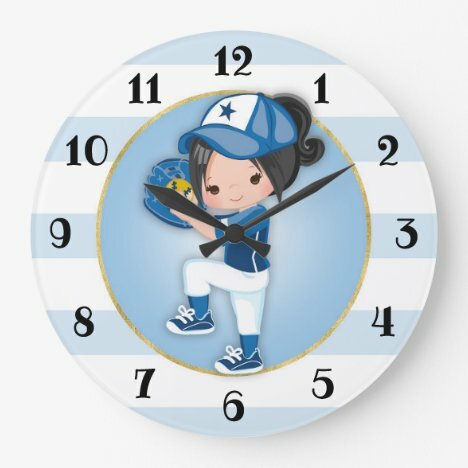 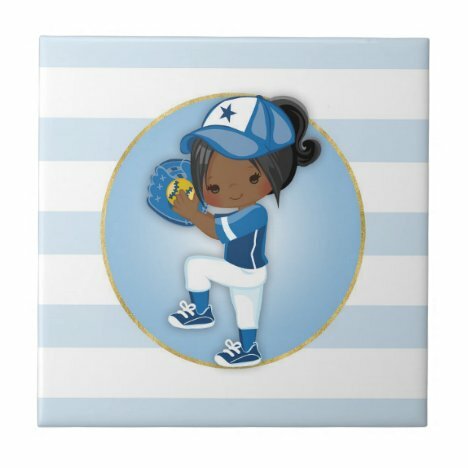 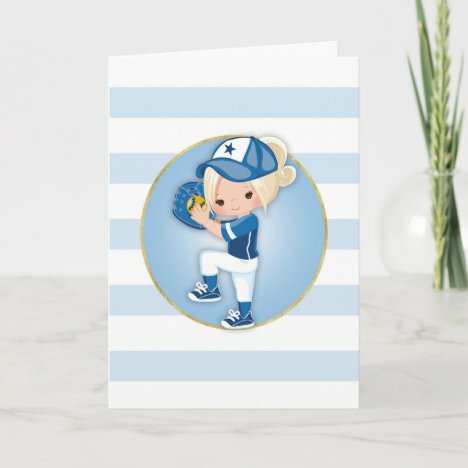 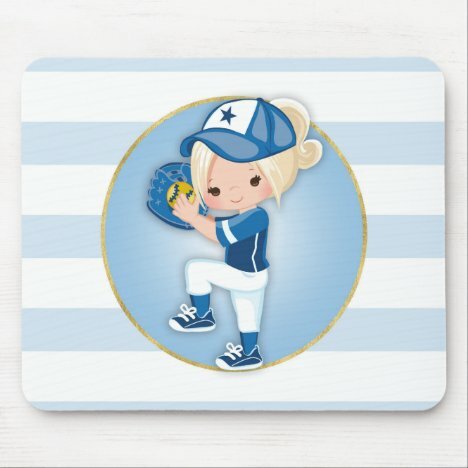 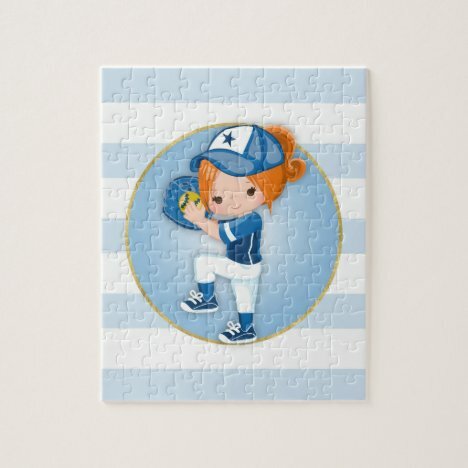 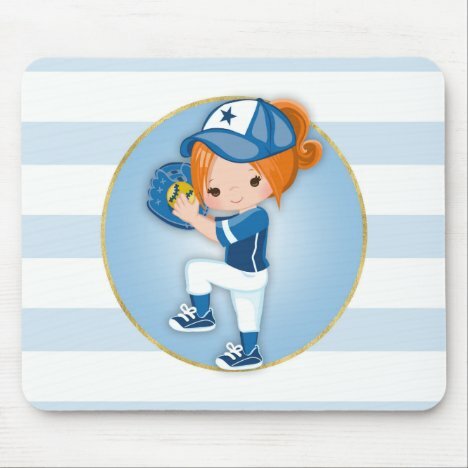 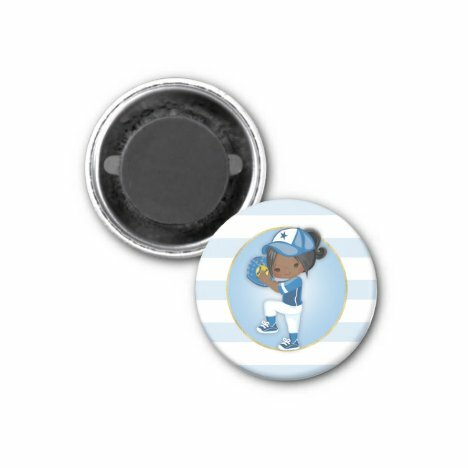 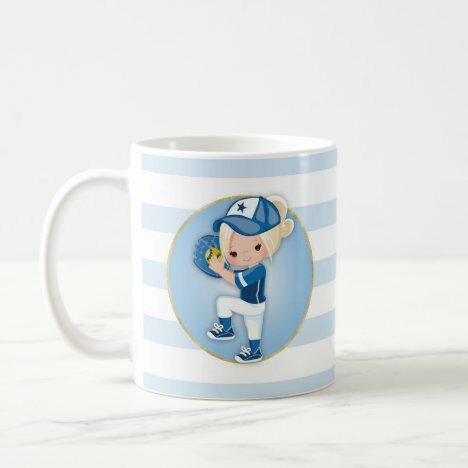 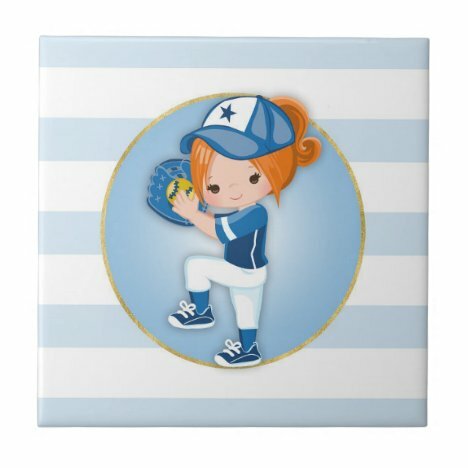 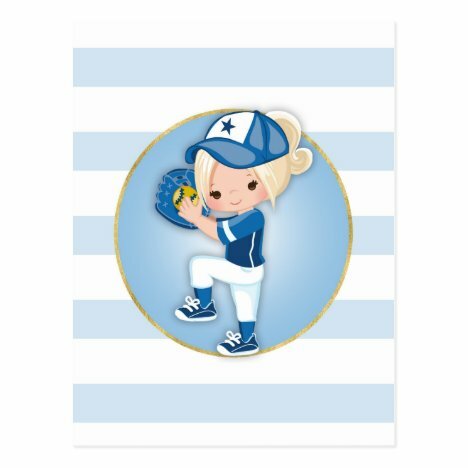 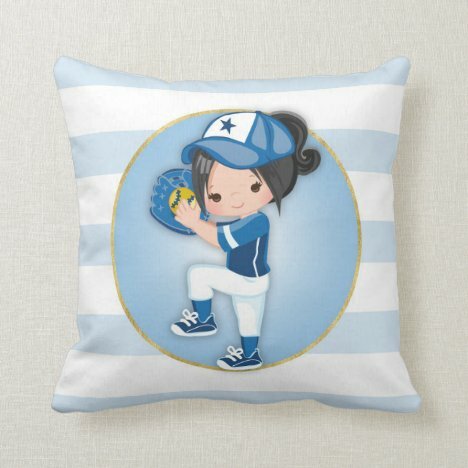 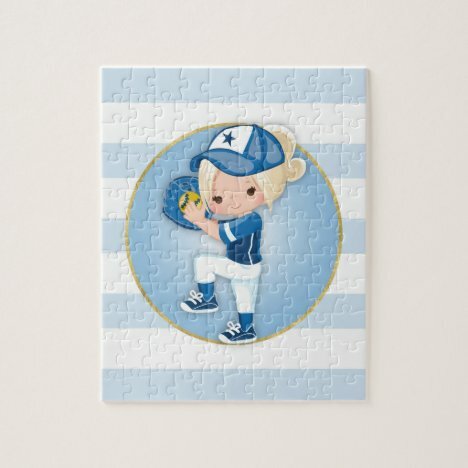 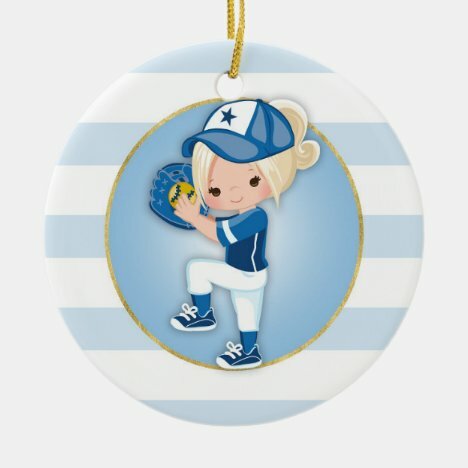 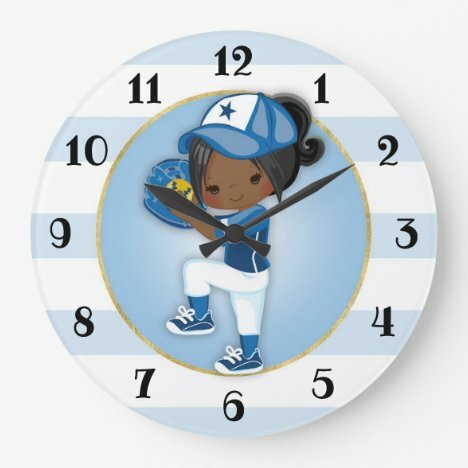 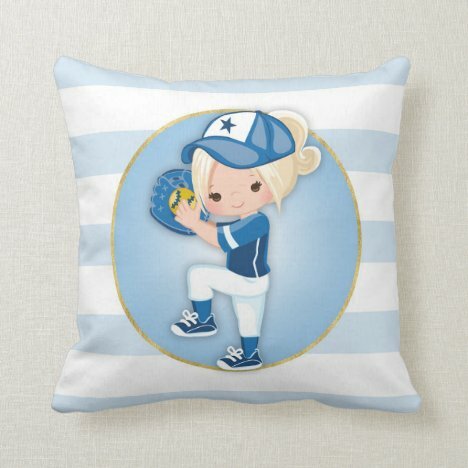 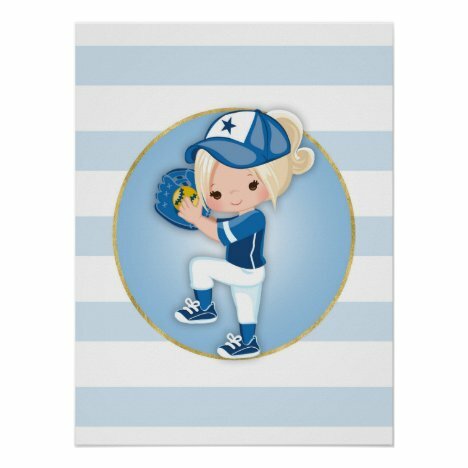 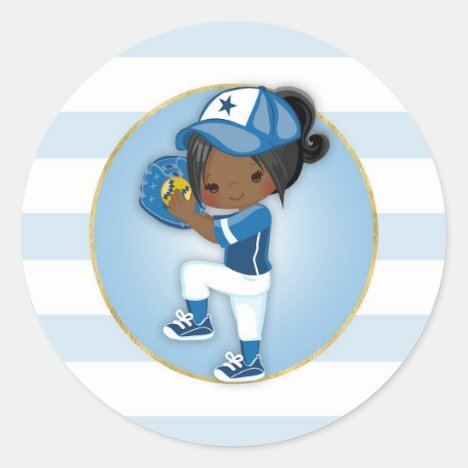 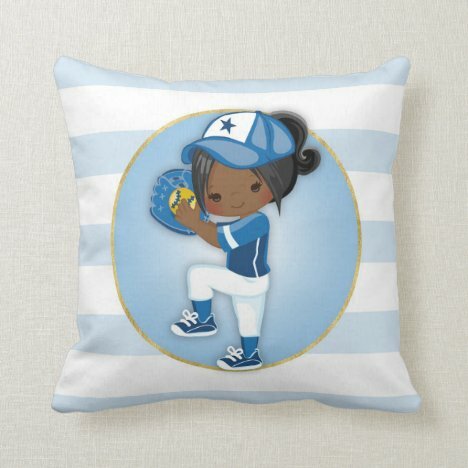 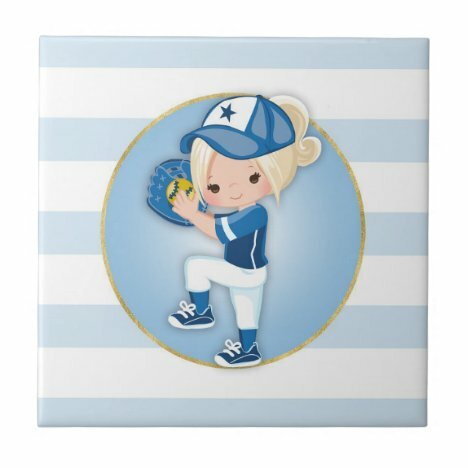 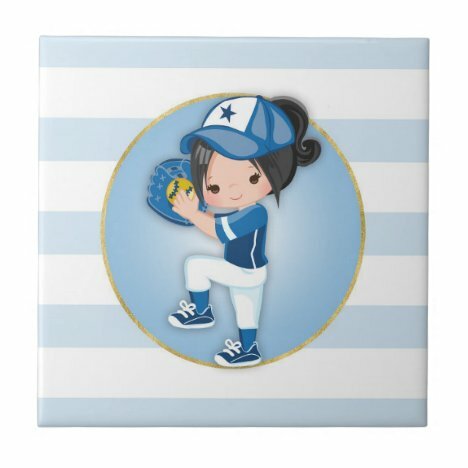 Cute girl softball player gift items featuring a cute softball player girl in blue and white uniform, on a blue background with blue and white stripes. These adorable softball girls come in several hair colors with light skin & and an African American version. 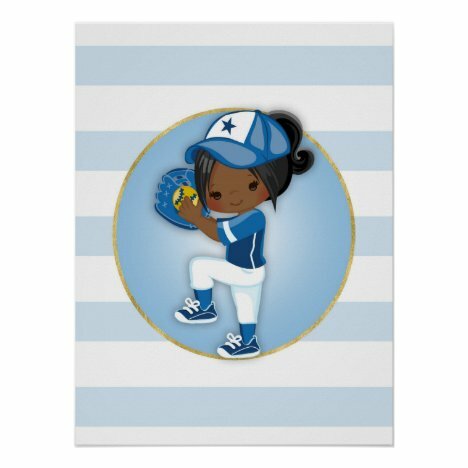 Full selection of gift items include girl softball ornaments, girl softball posters, softball girl postcards, pillows, magnets, girls softball stickers, clocks, mouse pads, softball greeting cards and more! 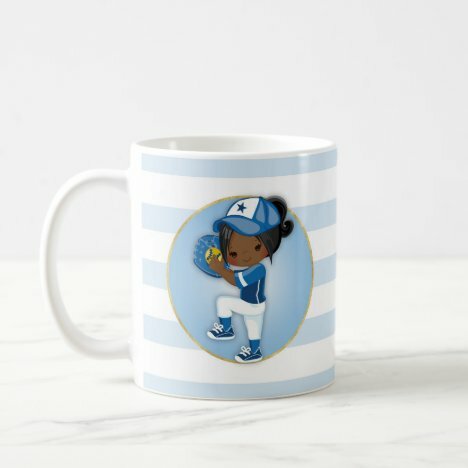 From Adorable Shirts & Gifts.